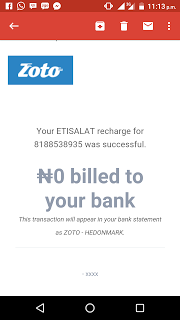 This is so amazing as I was given free 500naira real credit or airtime which was instantly recharged to my network from Zoto App. 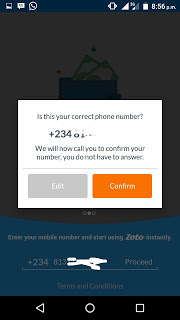 Meanwhile, Zoto app is one of the best rated app on playstore with millions of people making use of it and this has make them decide to reward any user who update his or her Zoto app.In any case, this app is simple to use and handle, as it cashback any of your recharges when you make use of the app for any transaction. It also reward users who refers his or her friends whereby the person uses his friends refferals code to sign up and both gain free bonus on the first transaction of the person that was referred.So let's move to the main topic. Not long ago, Zoto started rewarding any user who newly sign up and existing users who update their Zoto app on playstore. 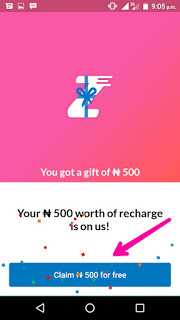 Many prexbloggers has gotten a lot of free 500naira airtime from Zoto App.This 500naira is a normal airtime which will stay in your normal account balance and can be used to make calls, buy or purchase data plans and surf the internet using Pay As You Go. °And enter your mobile number to sign up. 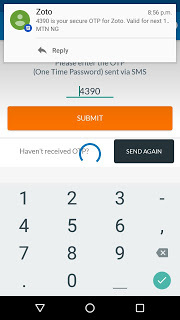 °Then OTP code would be sent to you for verification, just like when you are registering an account on WhatsApp. Then after creating your Zoto account successfully, then tap on So by now, your N500 would be sent to you through VTU and automatically loaded to your account. 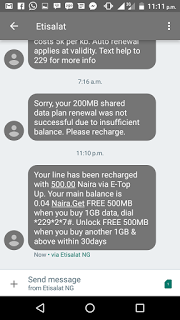 CLAIM N500 FOR FREE to get your free airtime.